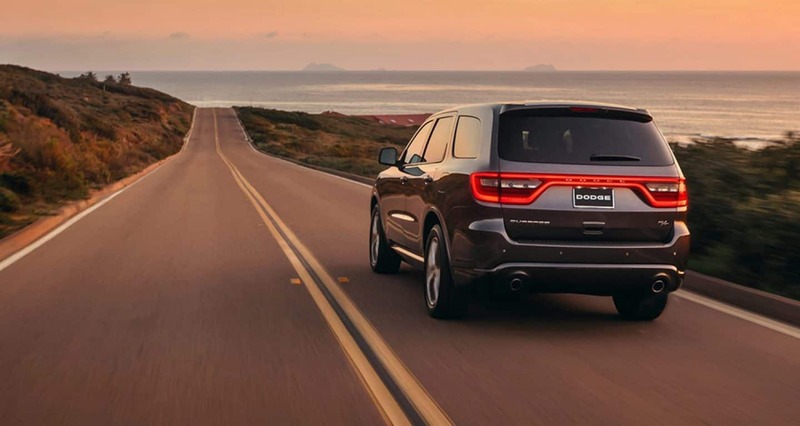 The Dodge Durango is one of the most popular SUVs on the road, known for offering the utility and family-friendly nature of a full-size SUV but with the versatility of a smaller model. It delivers a commanding performance that will leave drivers looking forward to every ride. If you are in the market for a reliable yet exciting SUV that provides comfort for the whole family and innovative Dodge engineering, there is no better choice than the new 2018 Dodge Durango SRT! What's new for the 2018 Durango? There are some very exciting updates arriving to the 2018 Dodge Durango. Most notably, the lineup of models now includes the Durango SRT which boasts tremendous power ratings. The Durango SRT has 470 lb-ft of torque and 475 horsepower, and it can provide a maximum towing capacity of 8,600. This is all possible because of the unbelievable 6.4-liter V8 engine, which works alongside a capable all-wheel-drive system. Another great addition to the Durango comes to the model's 8.4-inch Uconnect system, which is now compatible with Android Auto and Apple CarPlay. Can you tell me more about the available powertrain options? The Durango is offered with some of the most highly coveted engines on the market, starting with the 3.6-liter Pentastar V6 engine that delivers 293 horsepower and 260 lb-ft of torque. Customers have their choice between rear-wheel or all-wheel drive. Dodge alternatively offers their 5.7-liter Hemi V8 engine which delivers 360 horsepower and 390 lb-ft of torque. The new Durango SRT model is powered by the 6.4-liter V8. Dodge pairs each of their engines with a smooth shifting eight-speed automatic transmission. This great transmission has a unique setup with the V8 engines, as it can deactivate four of the eight cylinders when hauling lighter loads. 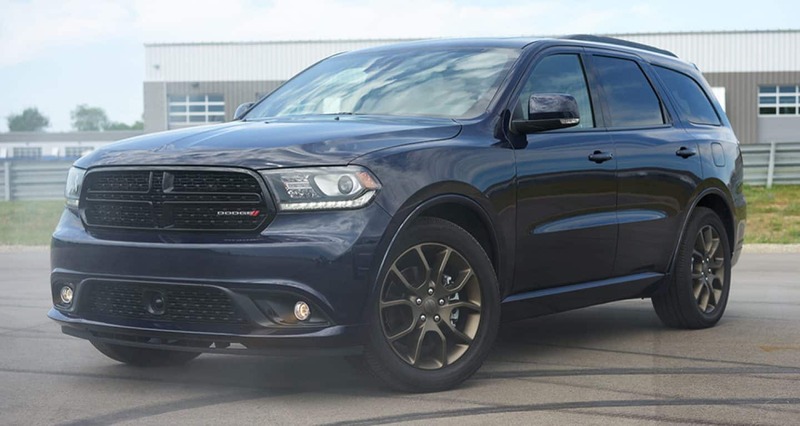 The new Durango SRT trim not only has the incredible V8 engine, but it has equipment like an adaptive suspension, electronically controlled limited-slip differential, and performance-tuned steering. Is the Durango a good vehicle for families or for hauling cargo? Yes, the 2018 Durango is an amazing choice for drivers who want a family-friendly SUV. 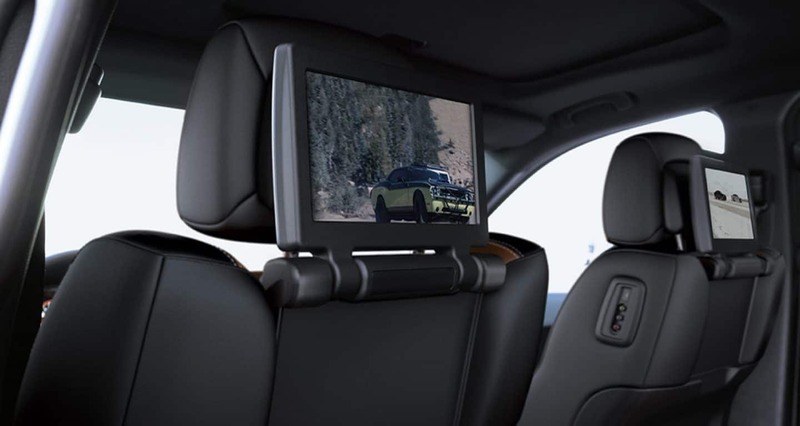 The Durango has three rows of seating for up to seven passengers. This configuration features a 60/40-split folding and reclining second-row seat along with a 50/50-split folding third-row seat with power-folding headrests. The available captain's chairs for the second row reduce seating capacity to six. However, if you need to prioritize cargo capability, the Durango is available with just two rows of seating to increase the cargo capacity. 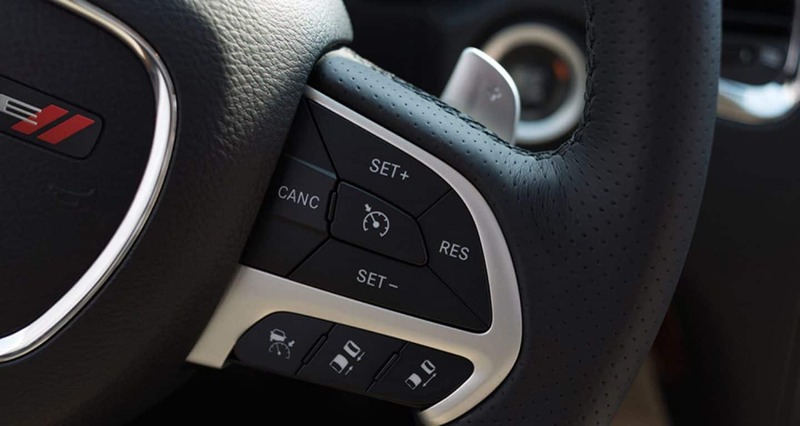 There are many features found standard in the Durango in order to keep every passenger comfortable and entertained. 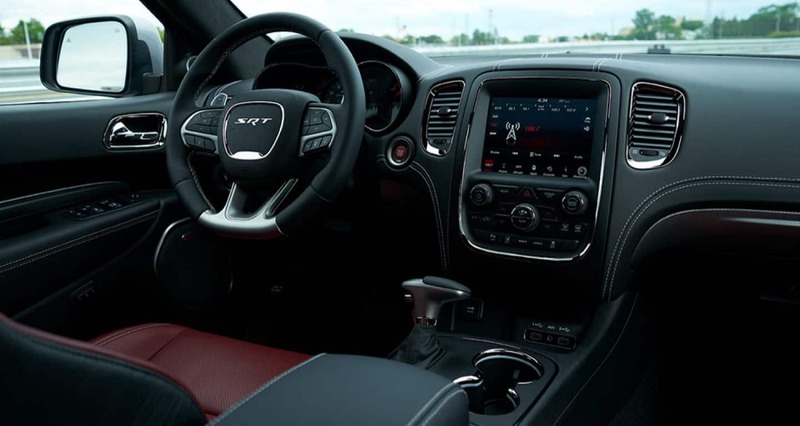 For example, the base SXT model boasts three-zone climate control, cloth upholstery, as well as driver-oriented features like keyless ignition and entry, a rearview camera, and Bluetooth phone connectivity. The standard infotainment system is a 7-inch Uconnect touchscreen interface. Are you looking for a new SUV that provides comfort, fun, and power during every drive? If so, the 2018 Dodge Durango is an unbeatable option. It has been created with drivers in mind yet will appeal to the whole family. Contact us today if you would like to schedule a test drive in the new 2018 Dodge Durango!